Petitely sized drinks are not ones that should be rushed just because they’re small. 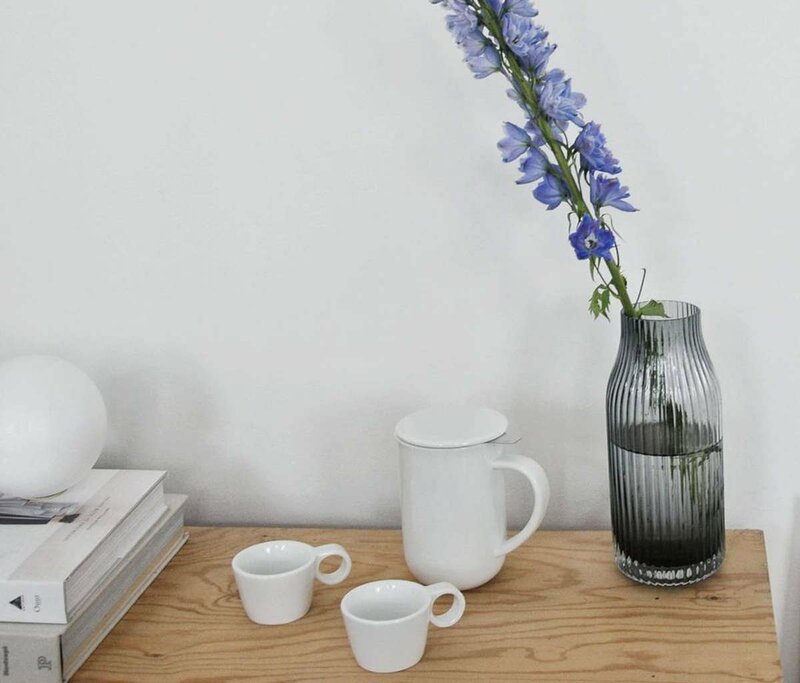 Take the time to enjoy your delicious coffee or tea with these elegant cups. This simple set of four is made for sharing so invite your friends over and let the world go by. Size: W: 4.8 cm - H: 9.5 cm - Vol: 0.08 L / 2.50 fl. oz. Our porcelain products are all made from our premium Cretasolis porcelain that is 100% lead and cadmium free, and hand-finished by skilled artisans. When you select the best tea, you want to be sure that nothing is compromised, and especially not leaching harmful chemicals into your tea. 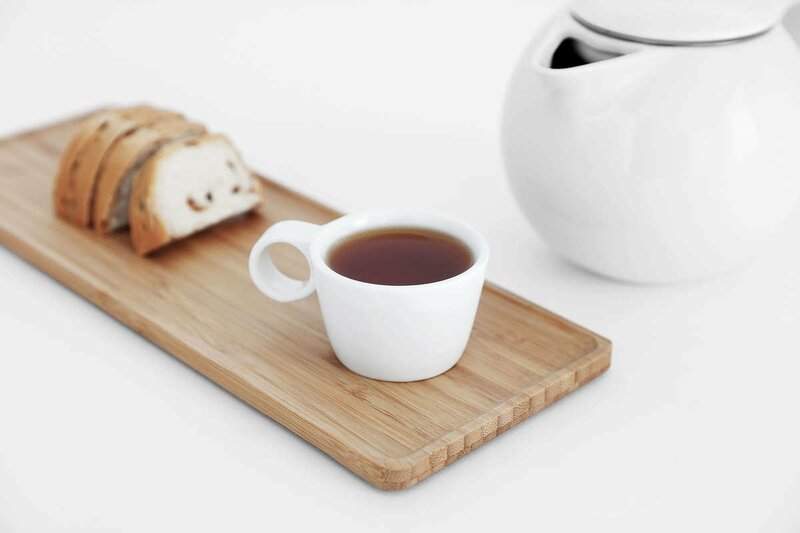 Our porcelain has been developed with your health in mind so you can focus on enjoying your favourite beverage. What infuser should I use with these cups? As these cups are so petite, they’re not suitable for individual infusers. We’d suggest using them with your favourite teapot instead. This is a set of 4 tea cups. How much tea do these cups hold? 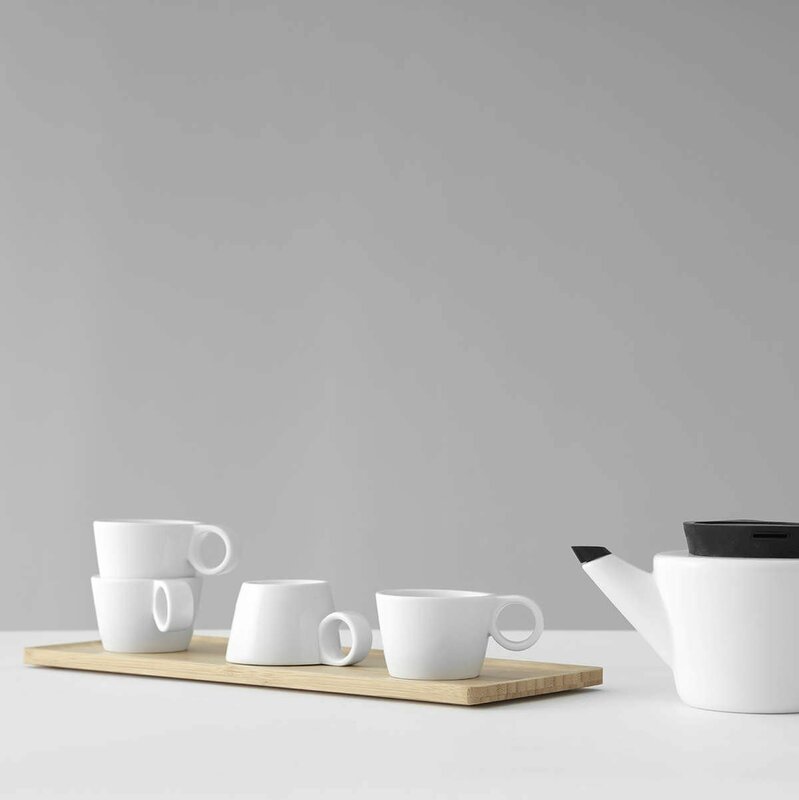 These sweet little tea cups hold 80 ml of your favourite brew. Are these cups microwave safe? Yes, they are microwave safe, but they may get hot - so handle with care.